Quite a few people are no doubt looking forward to Far Cry 5, the latest instalment in Ubisoft’s long-running shooter series. This is because Far Cry has offered some of the best first-person shooter action this side of Call of Duty for the last couple of years, even if both franchises do differ quite a bit in theme and style. Actually, Far Cry has always been more about weird and wacky fun in exotic locales versus Call of Duty’s serious military shooter action, and has garnered quite a following over the years as a result of this. And while Call of Duty has always been about the multiplayer, the meat of Far Cry has mostly been in its single player campaign. Fortunately though, Far Cry 5’s campaign is looking like it could be something special judging by the game’s latest trailer, which aside from showing off the game’s cool Montana setting also shows more of the game’s villain Joseph Seed. 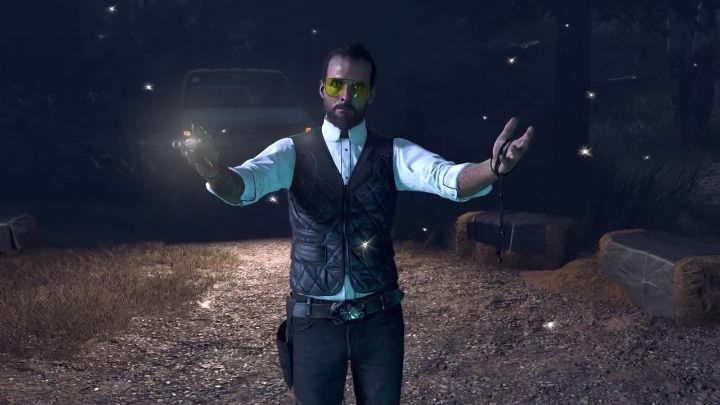 The man is the founder of Project at Eden’s Gate, a sinister cult which has taken over Hope County by force, and finally looks like he could be another great Far Cry villain after earlier trailers had me unconvinced about Far Cry 5’s antagonist. But judging by this trailer Joseph Seed does appear to have the right mix of fanaticism and evil to end up being another standout villain in the series, in the vein of Far Cry 4’s Pagan Min or Far Cry 3’s dangerously unpredictable and loveable villain Vaas Montenegro. One thing I find slightly off-putting, though, is that Far Cry 5 doesn’t look as great as one would expect from a modern AAA game, and particularly the game’s animations do look a bit jerky at some points in this trailer, although I will reserve judgement until I’ve played Ubisoft’s latest Far Cry game, which ships in March this year. Also, as is the case with most games these days there will be several special editions of Far Cry 5. The most noteworthy of these is the Father Edition, which comes with a figurine of the game’s villain Joseph Seed himself, while there’s also a more affordable collector’s edition available for Far Cry fans to get hold of. So, hopefully this will be another great Far Cry game that series’ veterans and newcomers alike can enjoy, that is, if Ubisoft manages to get things right again after the slight disappointment that Far Cry Primal was back in 2016. It would be a great thing, though, if Far Cry 5 managed to deliver the same wonderful experience Far Cry 3 did back in 2012, still the series’ best game and one which will be getting a classic edition this summer as Ubisoft announced earlier this week.